KAMPALA – National Basketball League defending champions JKL Lady Dolphins have completed the signing of Jane Asinde from Magic Stormers. Asinde who completed her high school last year joins the Dolphins despite strong interest from last year’s finalist, UCU Lady Canons, who usually pick up on such talent that is seeking to join University. “18-year-old small forward, Jane Asinde, has today completed her move to JKL Lady Dolphins Basketball Club,” read the statement. 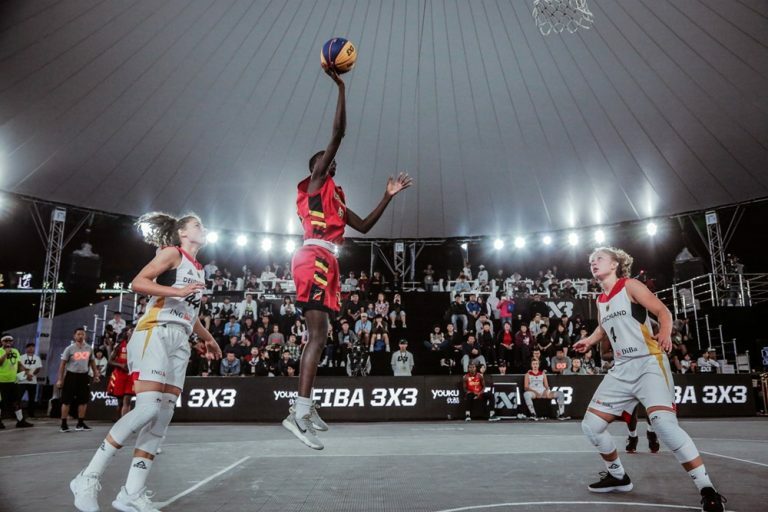 Akinde who was part of Uganda’s team at the 2018 FIBA 3×3 U23 World Cup also expressed her delight to be joining the reigning champions. “I am excited to be joining the JKL Sports Club project, said Akinde. “School is a very important aspect for me and having that as a key component of discussion, along with my career progression and personal branding, it became very easy to make the decision. Akinde has been likened to Uganda’s best female basketball export Claire Lamunu by the Junior Gazelles head coach Ali Mavita. To JKL’s Technical Manager, Fredricks Owora, she is the best young player in the region. “There is a lot of space for improvement and in the short-term, having her in a team with the quality of players we have along with top-notch coaches, gives her the opportunity to grow into what could be Uganda’s best ever forward. Akinde becomes JKL Lady Dolphins third acquisition of the off season, following the signings of Maureen Atulinda from KIU Rangers and Brenda Nakitende (A1 Challenge). JKL defeated UCU 4-0 in the Ladies play-offs finals to win their first ever League crown.